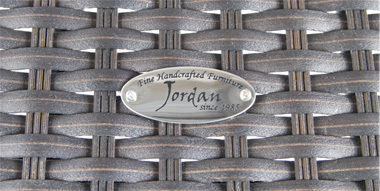 Jordan Cast & Wicker was one of the first to introduce Resin Wicker in North America. 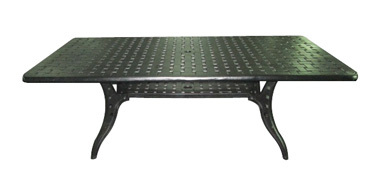 We have developed a product that truly can be called “All Weather Resin Wicker”. We have become the leader in the industry for our quality, comfort and style. 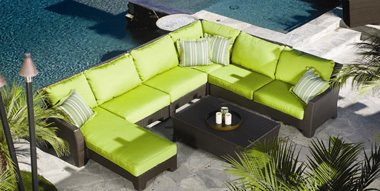 Our Wicker is crafted from High Density Polyethylene Resin and is woven around a powder-coated extruded aluminum frame. All materials used in our products are non-recycled virgin Resin and virgin Aluminum which eliminates any foreign byproducts that could hinder the products durability and longevity. As well, our Resin has an added patented UV inhibitor developed in Europe, which stabilizes its colour fastness. The colour of our Resin Wicker is uniform throughout, even when chipped or splintered. Our collections are laboratory tested for over 3000 hours of direct sunlight with NO perceived difference in colour. Tests are also conducted to ensure that our resin wicker is resilient against pool chlorine and can withstand weather temperatures of -40 to 80 degrees Celsius. It is because of the thorough testing and quality that we are able to offer the best warranty in the industry.